Vacationing in the Montana outdoors doesn't mean you have to give up your half-caff lattes and high-speed Internet. Whitefish, Montana, makes a great base for multi-day Montana adventures. 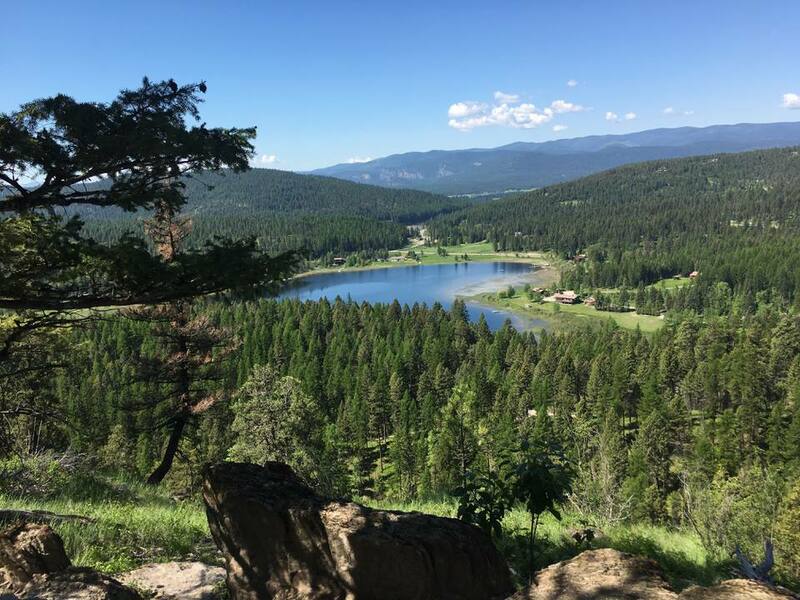 The mountain town is a casual and friendly place that offers its visitors the perfect combination of small-town charm, big-city amenities, and wilderness adventure. Whitefish Mountain Resort at Big Mountain rises over the community, providing year-round recreation, as well as a variety of lodging and dining options. The west entrance to Glacier National Park is just a short drive away. After spending your days outdoors, hiking or touring the park, you'll be happy to return to Whitefish's comfortable accommodations and fantastic food, wine, and beer. Whitefish Lake, and the nearby Flathead Lake and Flathead River, add to the menu of outdoor fun. The city itself provides a number of activities and attractions, including acclaimed golf courses, live theater, shopping, and bicycle trails. Whitefish visitors can enjoy a number of attractions without leaving the city limits. Indoor activities provide a welcome break in an adventure-packed schedule or an entertaining option when the weather just won't cooperate. Located in the restored Great Northern railroad depot, this Whitefish museum allows you to learn more about the area's logging and railroad history. Held from May through September, Whitefish's weekly open-air market features local produce, flowers, crafts, food booths, and live entertainment. The O'Shaughnessy Cultural Arts Center is the Whitefish venue for productions from the Whitefish Theatre Company and the Alpine Theatre Project. The facility is also used for art shows, local fairs, dance, workshops, concerts, and film. The Wave is a full-service fitness and recreation facility as modern and well-equipped as you'll find in any city, anywhere. In addition to exercise classes, fitness equipment, and a gymnasium, The Wave offers racquetball, handball, and squash courts, a juice and coffee bar, a child care center, a pro shop, a salon, and massage and physical therapy services. The Wave's aquatics center includes a water park area for the kids, a lap pool, a warm water pool, and a Jacuzzi. You can purchase visitor passes at the front desk. Glacier National Park and Whitefish Mountain Resort at Big Mountain aren't the only places where Whitefish visitors can play. 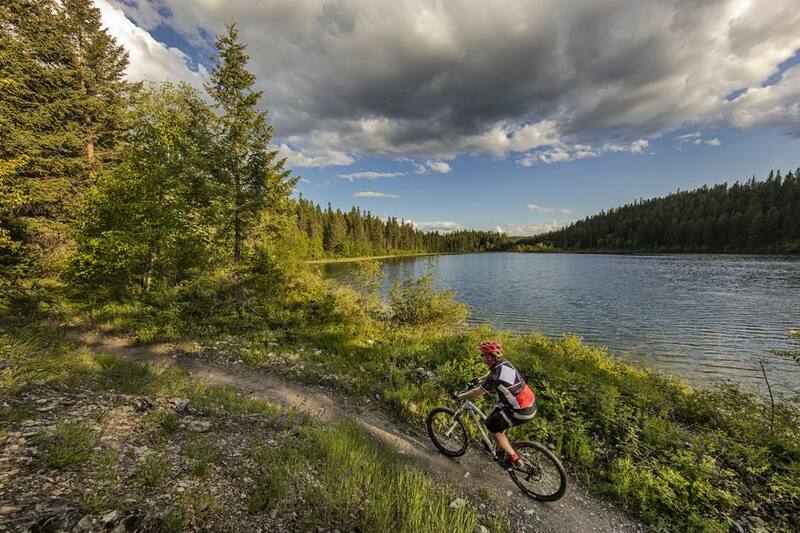 Many outdoor activities can be enjoyed just a short walk or drive from downtown Whitefish. The streets and roads in and around Whitefish are friendly to casual and serious cyclers alike. The town's Fish Trails, an excellent system of bike and pedestrian paths, meander along Whitefish River, by several city parks, and around the town. You can rent bikes and equipment at Glacier Cyclery, in downtown Whitefish. They'll also provide you with information about other trails and routes in the region. Local lakes and rivers are home to whitefish, lake trout, bull trout, rainbow trout, northern pike, coho salmon, cutthroat trout, and arctic grayling. Equipment, instruction, and guided fishing trips are available at Whitefish's Lakestream Flyshop. Visitors can also enjoy swimming, boating, water skiing, and kayaking on Whitefish Lake. Whitefish Mountain Resort at Big Mountain is a popular destination for all kinds of warm-weather recreation. The resort's "Glacier Chaser" gondola and chairlift operates during their summer season, providing a 15-minute scenic ride to the 7000-foot summit. At the top, the Summit House has a restaurant, shop, restrooms, and Nature Center. While you're up there, you'll enjoy fabulous views of Glacier National Park peaks, Whitefish Lake, and the Flathead Valley. Big Mountain hiking trails run from the village to the top of the mountain; shorter loop trails can be accessed from Summit House. The Danny On National Recreation Trail provides a different, wildflower-sprinkled route to Big Mountain's summit. The Big Mountain trail system includes over 20 routes for mountain bikers. Mountain bike rentals are available at Snow Ghost Outfitters in the Village. Outfitter "Bar W Ranch" provides trail rides suitable for those with minimal experience on horseback. Spend time high up at treetop level along a boardwalk suspended between the forest giants. The footbridges link from tree to tree, spanning 800 feet in total length. With a high point of 70 feet above the forest floor, you'll enjoy once-in-a-lifetime views. The tour begins with a safety orientation, followed by a short nature hike to the boardwalk. The Whitefish Mountain Resort at Big Mountain Resort in Whitefish, Montana, is a premier destination for snow sports enthusiasts. The free SNOW Bus loops between the town of Whitefish and Big Mountain Village. Equipment rentals, lessons, and guides are available at the Resort, along with ski in/ski out lodging, shops, restaurants, and nightlife. In addition to skiing and snowboarding, Whitefish visitors will enjoy snowshoeing, snowmobiling, ice skating, and dog sledding. Whitefish Mountain Resort is known for its short lift lines, deep snow, and relatively mild weather. Skiers and snowboarders will enjoy the mountain's diverse terrain, which includes groomed cruisers, open bowls, glades, steeps, and beginner areas. There are several different cross-country ski trails in and around Whitefish. Everyone should visit Glacier National Park, one of the nation's great scenic wonders, at least once in their life. Whitefish, Montana, located just a short drive from the park's west entrance, is the perfect base for a Glacier National Park visit. After spending your day touring, hiking, rafting, or fishing, you can return to Whitefish and the comfort of a hot shower, a comfy bed, and a gourmet meal. If you'd like to leave the driving to the experts, two different companies offer guided shuttle bus tours through the park. These tour companies know the best places to stop to enjoy park scenery. Sun Tours - Sit back in the comfort of a modern, air-conditioned shuttle as Native guides share Blackfeet culture and history. Red Bus Tours - Enjoy your tour over the Going-to-the-Sun road in an open-aired, vintage red bus. Jewelry, pottery, candies, handcrafts, and outdoor gear; this small mountain town provides you with some uniquely-Montana shopping opportunities. Some examples include the Purple Pomegranate featuring the work of local artists and artisans where you'll be able to choose from unique home décor, jewelry, fashion accessories, and kitchen items. Outdoor sports enthusiasts will enjoy shopping at Stumptown Snowboards. This shop specializes in outdoor recreation clothing and gear for both summer and winter activities. They also provide ski equipment rental and service. Located at the Whitefish Lake Golf Club, this rustically elegant restaurant offers steak and seafood dishes, a full bar and wine list, and banquet facilities. Located in Kandahar Lodge at Whitefish Mountain, Café Kandahar provides divine food and exquisite service, all in an unpretentious atmosphere. This Whitefish breakfast hangout serves up hearty egg dishes, gravy-smothered biscuits, and plate-sized pancakes. This downtown Whitefish restaurant serves steak, seafood, and pasta prepared in Cajun and Southern styles. The friendliness and hospitality so common around Whitefish are especially evident at their hotels and lodging. Deluxe lakeside accommodations with a full-service restaurant, private beach, spa, and boat rentals. This charming, rustic B&B lodge is nestled in a lovely forested setting. Guests will enjoy elegant rooms and access to all of Big Mountain's shops, amenities, and year-round recreation. Cozy rooms, awesome breakfasts, welcoming common areas, and friendly hosts make Good Medicine Lodge a great choice for couples and small families. Whitefish is located in Montana's Flathead Valley, in the northeast part of the Big Sky State. Whitefish is 14 miles north of Kalispell; it can be reached via Highway 93. Amtrak's Empire Builder route, which runs daily between Seattle to Chicago, conveniently stops in downtown Whitefish. Glacier Park International Airport, located in Kalispell, is served by daily commercial flights. Private charters and sightseeing tours are also available. The following companies provide local and airport transportation.